FireLine=Superline! The term "SuperLine was introduced in 1996 - and it has remained the world's true SuperLine ever since! Not a conventional braid and not a mono - Thermally Fused FireLine changed fishing forever. 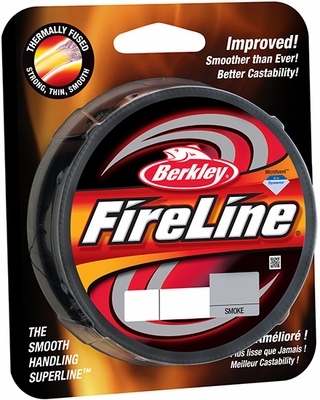 Berkley is now re-launching the Next Generation of FireLine - Berkley Fireline Fused Original Superline! Smoother and tougher than ever with the same powerful strength, smooth handling and fast-casting you know and love! MARUKYU Groundbait EFG 140 - Groundbait - Match Grade Tanish feeder gara - Conf. da 700 gr.